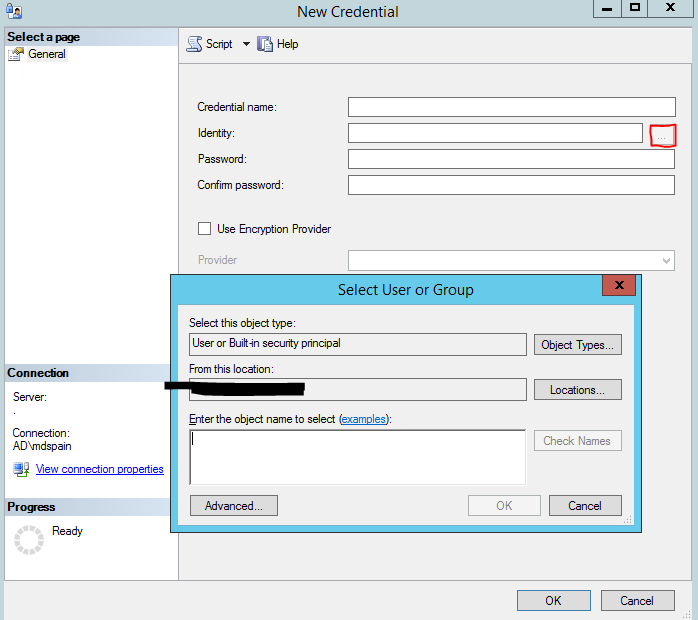 When doing a migration from SQL 2005 to SQL 2012 we changed the security model from individual users to Active Directory groups. I needed to find what everyone's permissions were, specifically Execute permissions. Here is what I came up with. I have included the script below for download. Needed to find Logins who owned any SQL Agent Jobs. We are consolidating individual logins to AD groups. SQL Server has a report called Schema Changes History. I wanted to figure out that query. After running a trace, talking to some folks and scouring the internet I came up with this. Really useful if you want to see who is changing stuff in your databases. I had a disabled user. Tried to re-enable the user but no button via the GUI to do that. Scoured the internet and found this solution. needed to change db_owner. used the new syntax. Orphaned Users and how to find and fix!! Used to work on an app that created a new sql authenticated login for each user. Spent a lot of times when refreshing the Dev environment and trying to fix all the orphaned users. Total beat down. So this uses ms_foreachDB. Don't hate me. --JOIN sys.syslogins l ON #orphans.db_user = l.name -- will return only accounts the are being used. I need to run some Powershell scripts using my account via the SQL Agent. I have specific modules I needed loaded from my profile that the Agent didnt have. Maybe there is another way to do this but this worked. Here is how to setup a proxy. ​First set up a credential. Enter the Identity. How this proxy will be connecting as. 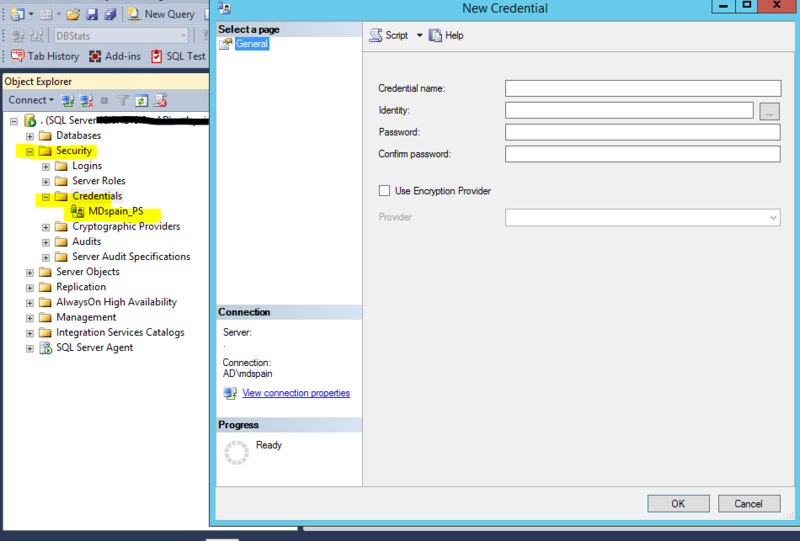 Next create the Proxy and select the credential name and check which subsystem the proxy with interact with. 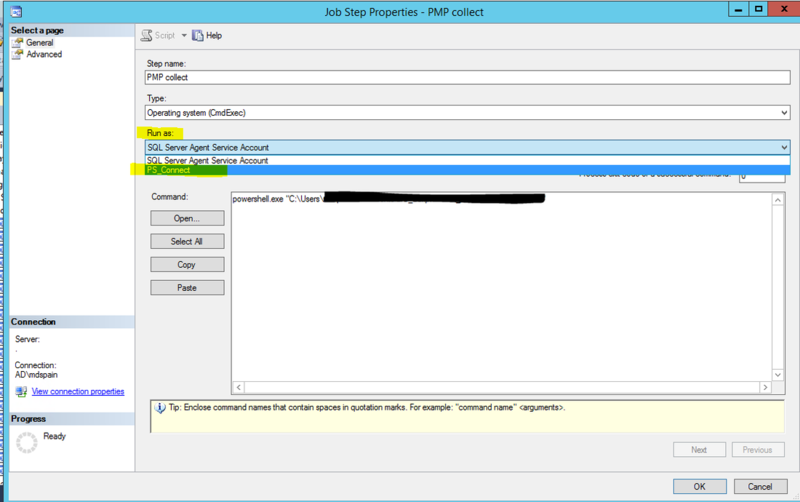 Set the SQL Agent job to use the proxy. 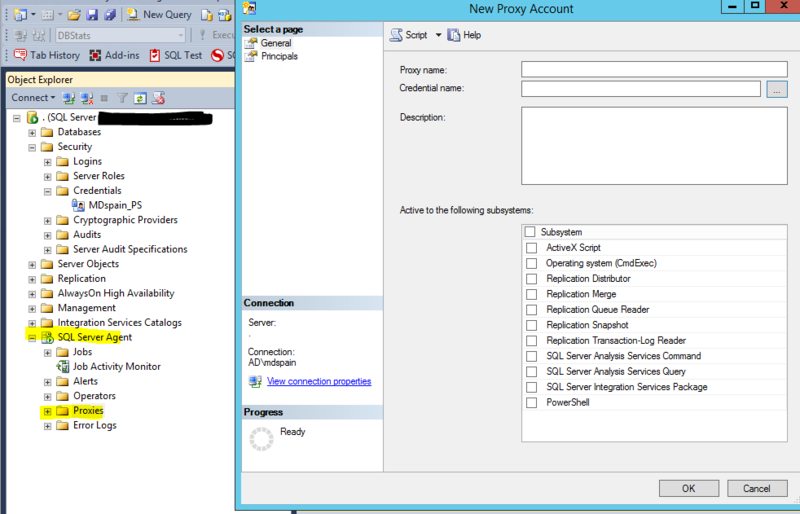 there you go on how to setup a proxy.!! So maybe this is me being stupid, but I had a Login that I disabled. This login is also in a part of an AD group set up on the instance. I know why have a login that is a part of an AD group set up as a standalone login. Basic answer is, it's my bad. I was doing some cleanup of logins making sure all my logins are AD groups for easier managment. I disabled the login, knowing he was in an AD group and now the user can't login. So I delete the single login and now the user has access being that he is authenticating through the AD group. So a login on a sql instance will trump the AD group if you disable the login. Had to remove 978 Linked Servers...What!!!! Today I had to remove 978 linked servers. Crazy right. They all had SA perms. Here is how I did it. Using the DAC aka Dedicated Admin Connection !!!! Today, the SA account was saying it was locked out. Made no sense. There was no indication that SA was locked out. Tried several things. So I tried to access SQL via SQLCMD using the Dedicated Admin Connection. If you syntax is correct you should expect to see whatever results you are hoping for. I have always heard of the Principle of Lease Privilege, but was unaware of these others. Good stuff. Very useful.